Crustless Protein Pumpkin Pie – and the Giving Thanks! But anyways, let me tell you how this impacts Protein Pow: it doesn’t. Well, it does in the sense that my pregnancy was the reason why I took a break from running Protein Pow workshops these last few months. But workshops will resume, in earnest, from this spring onwards (in London, Brighton, Glasgow, and possibly again in NYC). Please do email me at anna@proteinpow.com if you’d like to be added to my workshops alerts list and be notified the second tickets go on sale. The list is already really long so I imagine that, if you want to come to a workshop, chances of getting a ticket are higher if you’re on the list than if you check on here where I post all future workshop and related appearance dates. 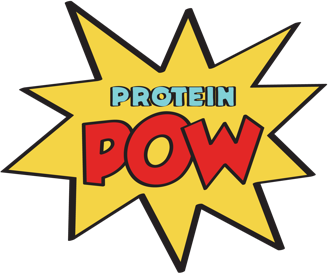 I’ll keep you guys posted through the Protein Pow newsletter too. The second thing I wanted to say is that this website, as well as the Protein Pow app on both iOS and Android, will continue to operate like they normally do. That’s because I’ve spent the last few months creating content in advance that I will be posting while I take a bit of time off to take care of this gorgeous little baby. So keep coming back to proteinpow.com for new content and making crazy protein recipes. Join us also at facebook.com/proteinpow where my team will be posting links to recipes new Pow recipes as well as older ones that you may have missed. I’ve uploaded the recipe on the Protein Pow App. It’s on iOS right now, in the ‘taster pack’ and will be on Android tomorrow. Sorry for the slight lag with Android, it just takes a bit longer to update content there. The final thing I wanted to say is that, in case you haven’t already seen it, I’ve teamed up with the team behind Jacked Pack and Pretty Fit to create a Protein Pow Holiday Gift Box containing the new Pow cookbook and a bunch of cool protein products (check it out here – and use code ANNA10 at checkout to get $10 off!) The box is only available for those of you in the US. HOWEVER, I’m in conversations now with Muscle Food UK and Bulk Powders Australia to create a box for those of you that live here in the Kingdom as well as those of you Down Undah. I’ll post the link to those on facebook as soon as they go live!